Well, MLB DFS is around the corner yet again and I’m excited!! I want to quickly show you what we have in store for the upcoming season. You can’t argue our helmets all over leaderboards from Nascar to PGA to NHL and MMA. We simply put together the best blend of content, tools, and coaching the industry has ever seen……..and it’s really the coaching. I mean you can find content and tools anywhere. But, how are you ever going to learn without the actual coaches and sport experts explaining the practical application? In baseball, we are looking to avoid making outs. The better our hitters do that, the more points we naturally accumulate. On-base percentage (OBP) is a basic metric showing us how often a hitter simply reaches base. Now, chicks do dig the long ball, and isolated power (ISO) shows us who’s who among the big boppers. Combine the two, and you see a sliding scale of players providing both. But, that’s not all…. When you consider the elite numbers of .400 for OBP and .200 for ISO, a .600 OBISO makes a lot of sense. But, not all OBISO’s are created equal. Some guys favor OBP and others favor ISO. The beauty of OBISO is we don’t need to judge. If one hitter reaches base at a .425 clip, but doesn’t have a lot of power, he’s still great….and his OBISO will show it. And, if another hitter swings for the fences but strikes out a lot, he can still help if his ISO is something akin to .270. These players are all over the DFS spectrum, and only through OBISO can you see everyone on a level playing field and then apply their pricing to find the true value. It could be Nick Markakis….it could be Joey Gallo. The truth is in the numbers! And, you can only find this metric at DFS Army. How do I know? I invented it…..that’s how I know. Last year, we saw a member go on a heater of epic proportions. He simply followed our coaching advice and strategies night after night and just kept winning. I haven’t ever witnessed a player win nearly a quarter million in 60 days before, but that’s what I saw. I loved every minute of it, too. And, I hope we can help you be that guy this year. DFS Army plans to incorporate coaching picks into a page looking just like our NBA and PGA coach’s picks pages. Never have you seen such simplified advice. And, our coaches are always milling about the coaching forums answering more conceptual and specific questions our members have while shortening their growth curves. If you like the idea of OBISO, you’ll love the evolution of WOBISO. wOBA is short for “weighted on-base average.” Simply put, the statistic states “not all hits are created equal.” wOBA infuses a power metric giving doubles more credit than singles, and triples more credit than homeruns. But, it does have an on-base component. So, combine wOBA and ISO and you have an on-base/non-out making metric heavily weighted to power. This is where a Mike Trout or even a Mookie Betts can really shine. Again, you won’t find that at any other MLB DFS content site. Why? We invented this one, too. If you haven’t followed me, you will quickly learn I hunt baselines. I love taking a short-term, volatile baseline and laying it over a longer-term, steadier baseline. We call these “trends,” of course, and you can find them all over our MLB Research Station. The RS (as we call it), shows stat after stat all in one convenient spot. And, it’s because of these stats, we can do some really cool DFS-related things like OBISO and KScore (below). We can also monitor trends and time those hot hitters and avoid those cold ones. As you probably know, DFS pricing doesn’t react as quickly as a player going on a heater. We can grab quick value by watching a player’s short term history exceed his long term history. I’ll show you an example in the screenshot below from the end of last year. Were you playing the power heaters Joc Pederson, Domingo Santana, and Rafael Devers close the season on? We did……because we combined the tools with the knowledge to #RaiseYourEdge! KScore? I’ve never heard of that. Well, the reason you’ve never heard of it is because you aren’t yet a member of the DFS Army. It’s a household MLB stat on the inside. KScore can’t be found anywhere else, either………because I invented this one, also. It combines the potential of a starting pitcher to post high strikeout totals for the day by measuring the strength of his matchup. You might think that sounds easy, but have you tried to measure these matchups across all pitchers, across a 14 game split all-day slate? I can. And, I show our VIPs how to do the same because I’d rather you learn how to use these stats yourself. When you enter the DFS Army, you not only gain the tools, but you gain access to the minds behind the tools. We are proven winners in our sports that can, and will, show you exactly how we do things so you can do them for yourself. Our goal is to teach you the construction methodologies meant to take your game to the next level, or teach you to become competitive in a sport you love watching on tv. Whatever you want to become, we can help through education and community cheerleading. You won’t find a more environment anywhere. Carnage is another neat report generated exclusively for the DFS Army VIP. The “Carnage Factor” measures, in very simple terms, the offensive firepower of an offense’s matchup for the day. You can almost build your stacks straight from this one metric….it’s that good. Sure, NillyJay gives some credit to KScore and other metrics, but he has put them straight up on steroids or HGH inside his daily reports. And, he’s back to deliver again this year! Bonus – Ump Edge and Swing Plane Analytics by Bowerman! As an added bonus, our VIPs get a new concept for 2019. The MLB DFS industry is starting to incorporate umpire data into their algorithms, and it makes sense. Umps control an awful lot of your DFS results. Small strike zones favor hitters and can take a great starting pitcher off his game forcing him to come after the middle parts of the plate. And, larger strike zones can stymie hitters even when an otherwise mediocre pitcher takes the mound. We are taking this concept to the next level, though. 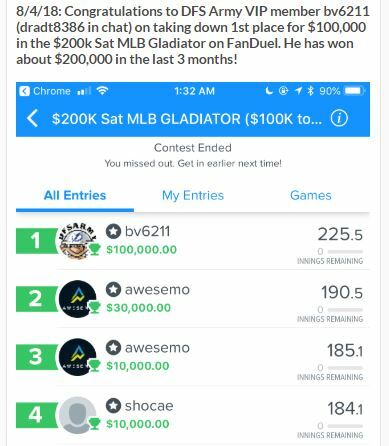 And, not a single soul in the MLB DFS world has ever seen or produced anything like it. We brought in a real-life umpire analyst and hitting coach we are naming Bowerman-Pickles, and his primary responsibility is to show you how this previously unused data pertains to daily fantasy baseball……..and how it can increase your edge over your competition. 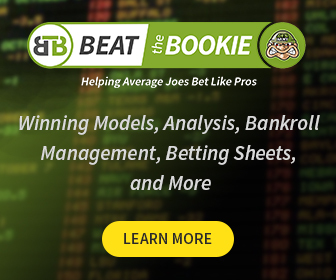 Heat maps, deep-diving analytics, and the education to utilize the data presented for yourself is exactly what the DFS Army is about. We aren’t just surfing with the wave, we are well out in front of it……leading the charge!! And, you can only get it inside as a VIP. And, don’t forget to use the code CHOP for an additional 20% off your MLB play. The discount doesn’t just stick the first month and fall off. This code locks in your pricing for as long as you remain a member!! I hope to see you inside, and I hope you have a +EV day. #RaiseYourEdge! !